Free-standing sauna heater in modern design. Our MAJUS free-standing sauna heater is guaranteed to be the eye-catching highlight of your sauna thanks to its modern yet timeless design, whether as a sauna or SANARIUM® heater. Thanks to its new design, the MAJUS sauna heater with its capacity of 60 kg sauna stones offers the same infusion characteristics as other heaters but with significantly increased stone volume. In combination with the 21029 sauna control unit, the SaunaPUR® function is then also possible, offering you an original sauna experience. This heater not only impresses thanks to its appearance and technology, but also with its wide range of functions – and also fulfils all safety standards required for the VDE mark. 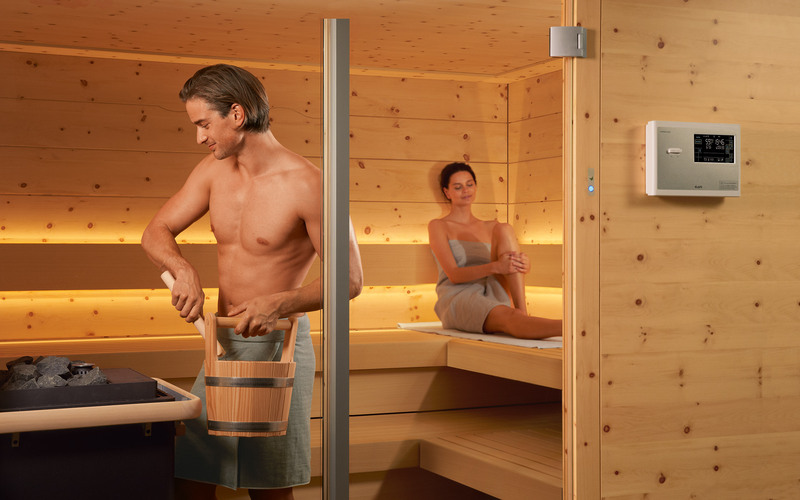 With the patented Turboheat function in our MAJUS sauna heater, a temperature of 90°C is reached in just 20 minutes. This not only saves time for a spontaneous sauna session, but also energy. Thanks to its innovative air flow, the MAJUS sauna heater lets the heated air flow directly into the cabin when the Turboheat flap is open, thus heating the sauna up faster. If the Turboheat flap remains closed, the stones in the heater are first heated in the traditional way and then the stones in turn heat up the cabin – for pleasant radiant heat. 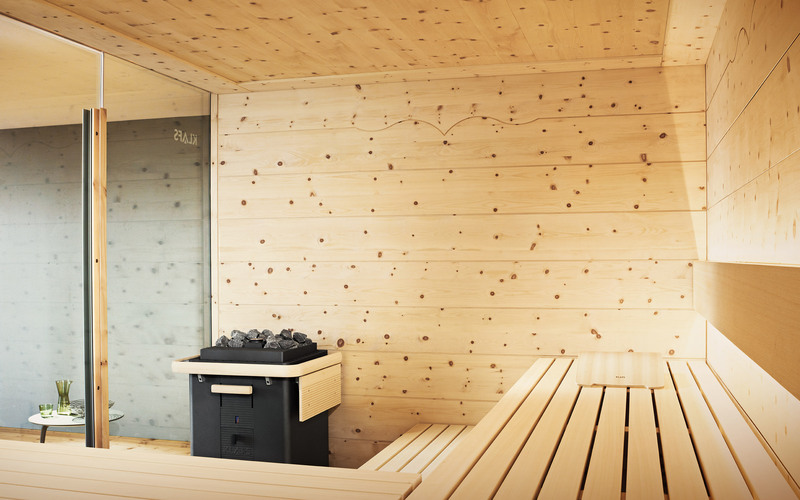 The SANARIUM with SaunaPUR® contains the MAJUS sauna heater in combination with the 21033 control unit. With this equipment you can enjoy five different forms of bathing in your private sauna. And with our SaunaPUR® function you can enjoy a completely natural sauna experience. The heater is preheated to 80 – 85°C and then switched off. This results in a soft, radiant heat. 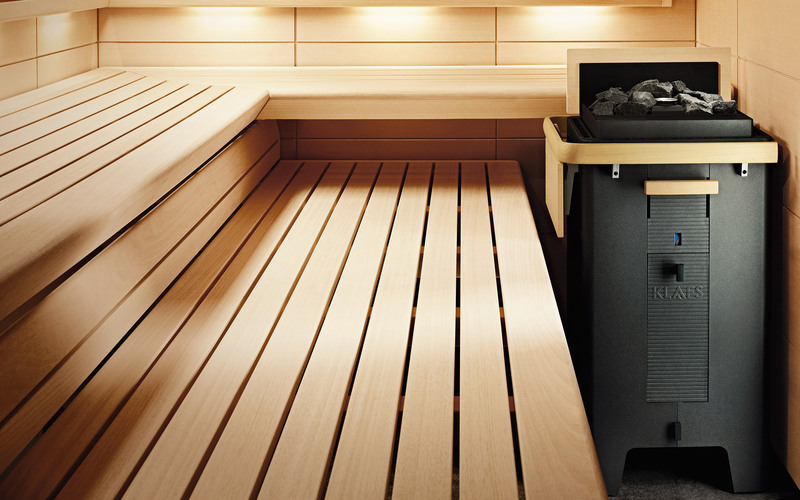 Intensive infusions compensate for a drop in temperature – for that original sauna feeling. And thanks to the loudspeaker integrated in the humidity sensor, as well as ten pieces of music or natural sounds stored in the control unit, your ears can also relax. 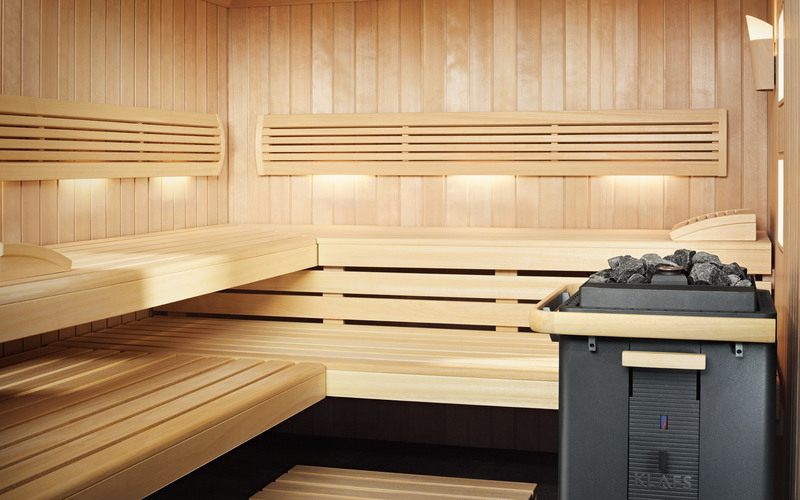 The SANARIUM with SaunaPUR® can also be retrofitted into an existing KLAFS sauna: Connected load 6.0 kW or 9.0 kW, 230 V/400 V for sauna volume 7.0 m³ to 15.0 m³.